During a talk at the Game Developers Conference, Nintendo gave everyone a behind-the-scenes look at the creation of Breath of the Wild. What you’re looking at above is technically an early playable version of a game releasing in 2017. 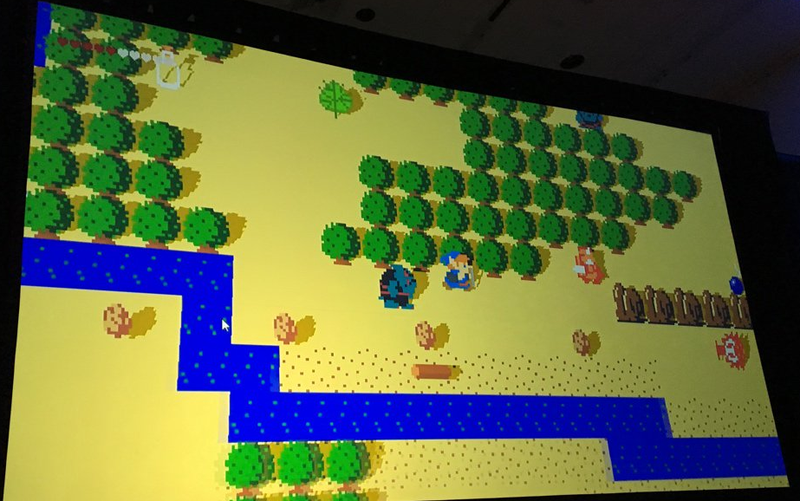 “As you can see, this is a 2D Zelda, but we used this as a way to experiment,” said game director Hidemaro Fujibayashi. In the 2D footage they shared, you can watch Link burn down trees, cut and move logs into the water for transportation—all followed by their 3D equivalent. While verbs remained the same, the action gained a new perspective in the final version. Correction 7:05 PM: The shared email slides are jokes, and probably not real exchanges.